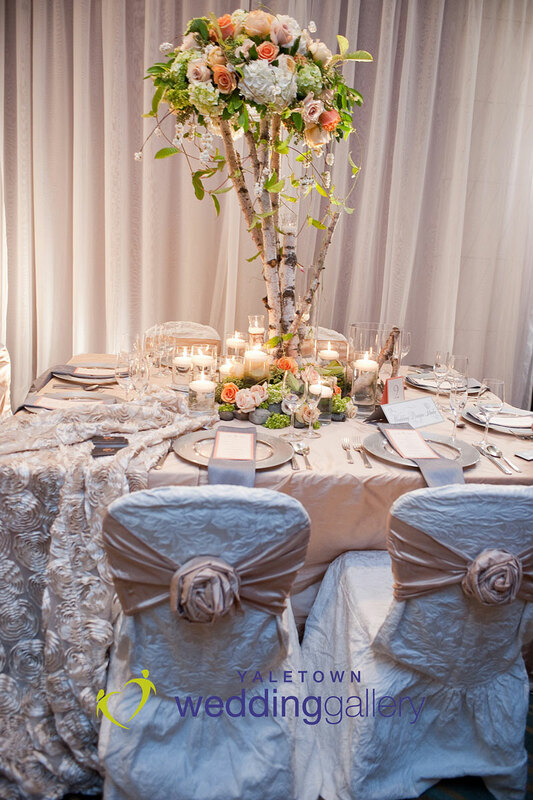 On November 6th, 2011, Wedding Design Studio attended the Creme de le Creme Show at the Four Seasons Hotel in Vancouver. Soha put on a gorgeous show as always and it was great to see all of the lovely and excited Brides on Sunday. 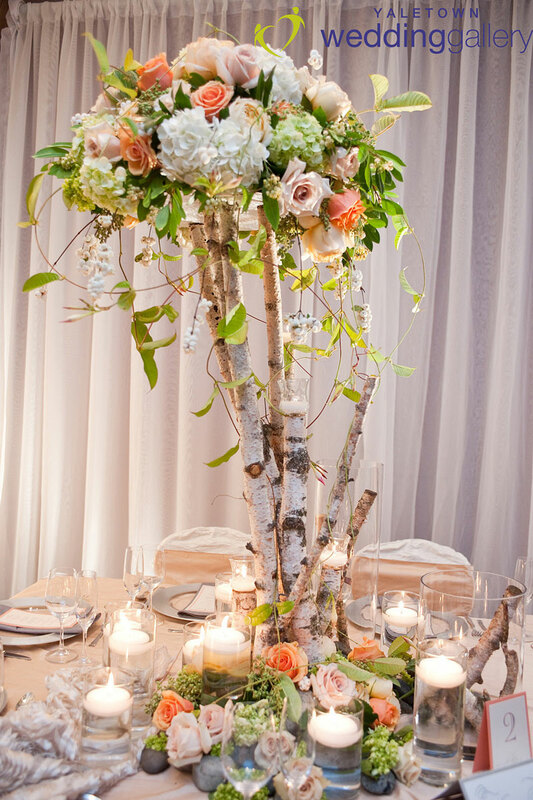 Wedding Design Studio designed a table with a one of a kind birch centerpiece. 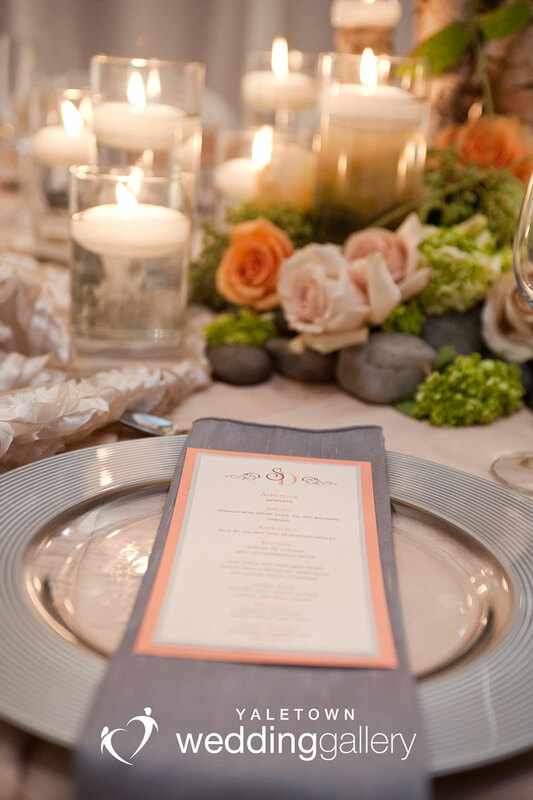 The colours were pale peach, dove grey and apricot.